Honoring loss. — BEEHIVE FLORAL CO. This little floral co was born out of loss. Two years and seven miscarriages and a nearly broken spirit had me and my husband wading through oceans of grief. And healing from that loss was a very long and personal process that will continue for the rest of my life. 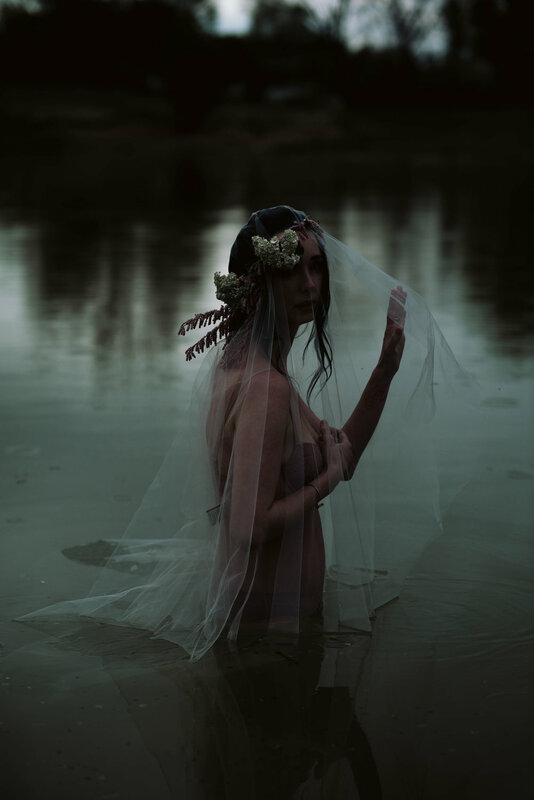 I had a recurring dream of myself pregnant at dusk and floating on a lake, my husband and my daughter at my side, guiding me gently on the water...moving through. 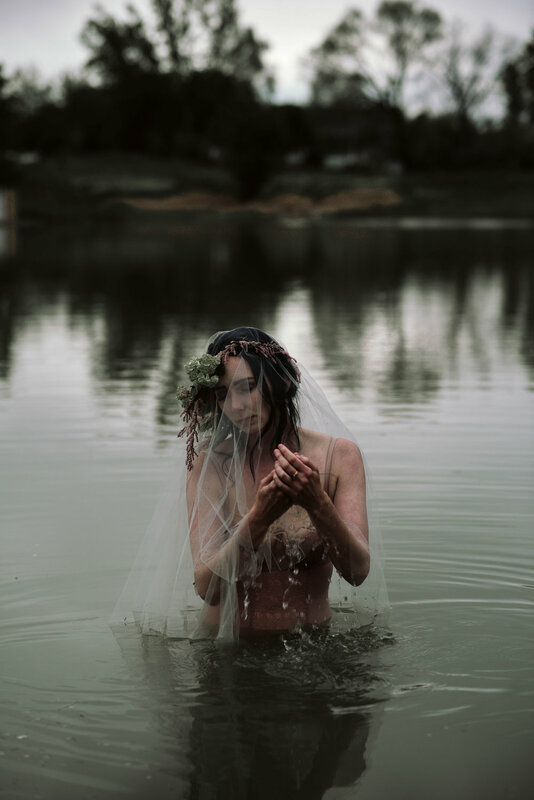 When I showed Haley Nord (photographer) and Christine Wallace (model) the painting of the Lady of Shallott as we prepared for this shoot, I was not thinking directly of this dream. When I got the pictures back, I saw it exactly recreated for me, somehow picked up by two beautiful intuitive women and gifted back to me as a loving reminder. The day I was finally able to move through a process to help myself accept my losses, was the day this floral co beamed in like early morning sunlight and blossomed and grew where other life wasn't able. I am sharing this incredibly personal story because I want anyone who might be mired in loss to know I understand that loneliness. Despite the fact that all of us will face loss at some point in our lives, the direct experience of it can be so isolating. If you are suffering from grief, give yourself time and room to feel it. Let it move through you the way it needs to. Treat yourself with tenderness. Lose yourself when you need to. And when you're ready, let the sunlight shine back in.